HOT NEWS: A new supply of the “Painting BIG” videos has just arrived, and orders are being shipped immediately. The complete “Painting BIG” package includes two videos entitled “Secrets To Creating Successful Large Oil Paintings, Part I & II” plus a printed guide entitled “Essential Secrets To Painting BIG.” The special offer price is $50, with free shipping to anywhere in the USA. 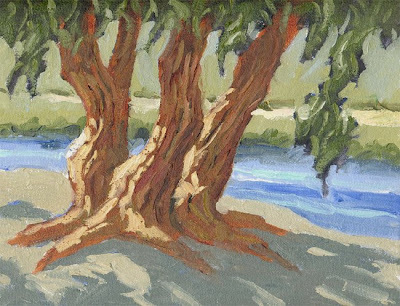 You’ll learn how to create a sense of cohesiveness and continuity in your paintings. And how to end one painting session so that the next session will flow better.